6:00 a.m. - 7:30 a.m. and 12:00 p.m. - 1:30 p.m.
For those interested in improving their stroke technique, endurance training, and overall fitness, a structured workout with a group is vital. This adult swim program includes in-depth stroke analysis and personal coaching. These workouts will challenge your mind and body. All levels of swimmers are welcome. You must be 18 years of age or older. 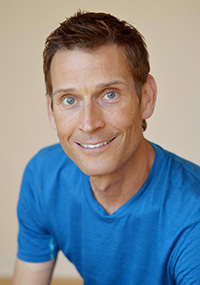 Coach Will Hansen, a Presidential Fitness Award recipient, has in depth experience in overall training with a keen ability to communicate and coach in an effective, easy, and fun manner to help anyone reach their goals regardless of athletic swimming background or age. Megan started pursuing swimming in High School and continued through college. She started her freshman year with little to no experience competitively swimming. She joined a club team which helped her to swim in college. She made the All American team for Southern California representing her college and then decided instead of continuing her swimming she'd rather coach. She taught swim lessons when she was younger, but coaching was really where her passion was. Her first coaching experience was in the Navy helping enlisted service members learn how to pass higher swimming tests and qualify for specialized operations positions. Then she started coaching for Grossmont High School/Point Loma High and then eventually moved up to coaching at Grossmont College. 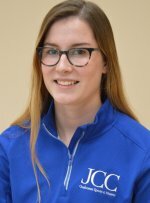 Now she is excited to be working at JCC and returning back to her roots of team swimming. Grace has experience coaching children at an early stage in their competitive swimming career. She also has a background in lifeguarding and water safety instruction. Grace began swimming at a young age and has not looked back since. She competed for both club and high school teams, specializing in distance freestyle and backstroke. She loves being able to spread her passion for the sport through coaching. Swimming is not just a sport, but a lifestyle, so Grace loves to encourage hard work in and out of the pool. 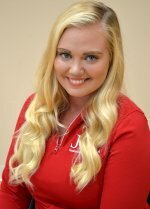 She believes that every practice not only teaches kids good swim technique but fosters lifelong skills such as good time management, nutrition, open-mindedness, and the ability to work as a team. In her personal life, Grace loves spending time with friends, family, and her dog. She also tries to get in the pool as much as possible! Please stop at the gym desk to pay your drop-in fee before swimming.